Burning a CD from iTunes is quick and easy. Read below to learn how to burn a CD from iTunes. Listening to music on the move has never been so much fun and easy. And the arrival of the iPod has revolutionized the concept even further. Nowadays you can take your entire music collection in the palm of your hands and listen to the same whenever and wherever you fancy. And with the iTunes music library at hand, getting at the music has never been easier as you can sort, organize and manage your music online building and personalizing your own music library. If you can access the internet, then your favorite music is just a few clicks away which you can download to your iPhone or iPod. However, if you want to listen to music in your car or maybe play it at your home stereo, then you can burn your entire playlist from your iTunes music library to a CD. But, unless you burn the CD in the right format, the players won’t be able to play the CD. Nonetheless, to do this, you don’t need to seek the help of a geek. Follow the steps given below and within minutes you can transfer your music from iTunes to the CD. First of all select the type of CD that you would like to burn. Open iTunes and go to the iTunes preferences and select the burning tab. Choose the burning format as per your purpose. You will have three burning options to select. To burn a standard CD you should select the audio CD option. This CD can be played in any audio CD player and you can burn about 74 minutes of audio in this format. If you want to burn a specific playlist into the CD then choose the mp3 CD format. In this way, instead of audio tracks, the files will be burned as mp3 files. However, any AAC files won’t be burned into the CD. Go for this option only if you plan to play the CD in a player or stereo that supports mp3. If you plan to burn the CD with all the songs of any file type then you should select the data CD or DVD option. The data CD or DVD option allows you to back up all iTunes music store protected AAC files as well as leaving you the option to burn to a DVD-R disc. After selecting a particular burning format, return to the iTunes main window by clicking on the OK button. If you want to burn an audio CD, then you must first know how much space the number of songs that you have selected occupies. You should limit your songs to fit the 74 minute CD disc. 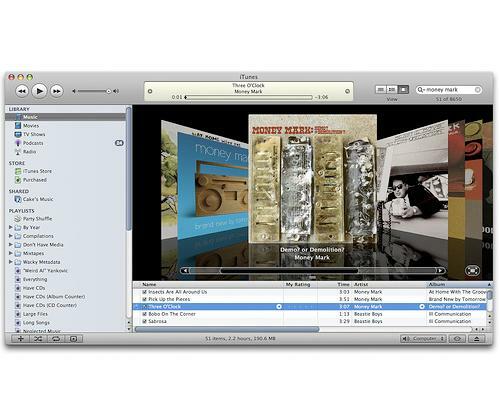 However, you can also burn multiple CDs as iTunes has the option to burn the playlists across several discs. Highlight the playlist that you wish to burn in the source column. On the top right corner of the iTunes window, you will see a ‘burn’ button. Click that button and your CD tray will open. In the open tray, insert a blank disc. After you insert the disc, you should click on the ‘burn’ button again. iTunes will then start to burn the CD. After the burning process is complete, you will see a CD icon in the source column bearing the same name as the playlist. Click on the eject button at the bottom right corner of the screen to take out the CD. Burn a CD with music from iTunes and you will have a wider choice on how you can listen to your music. The article, how to burn a CD from iTunes will teach you how you can do so.